Sandals that will make your feet happy all day long. 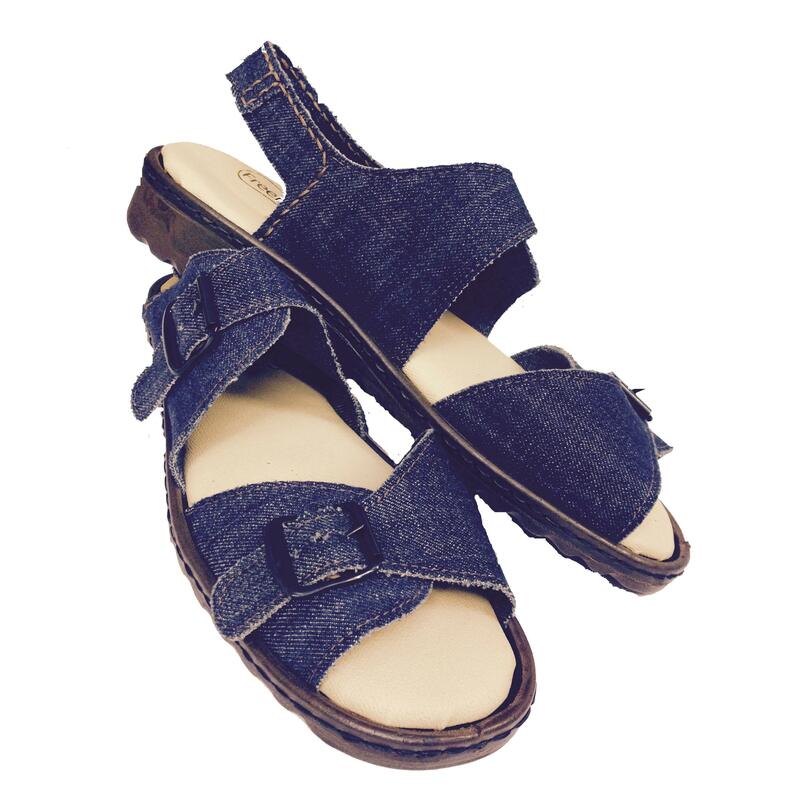 Made of light denim, with adjustable straps. Fitted with padded insoles and sewn on to shock absorbing soles. What better comfort to ask for. All this, and they're in fashion!